As with Kazakstan and Pakistan, Xinjiang Province, Qinghai Province, and Sichuan Province will be within the new polar circle around the new S Pole of India. Bone chilling cold will be a daily fare, with an extremely short growing season, if any, during the scant summer months. Those determined to live in their former homeland should prepare for this by stocking seeds that can grow in such an environment, equivalent to the Yukon in Canada or to Alaska. 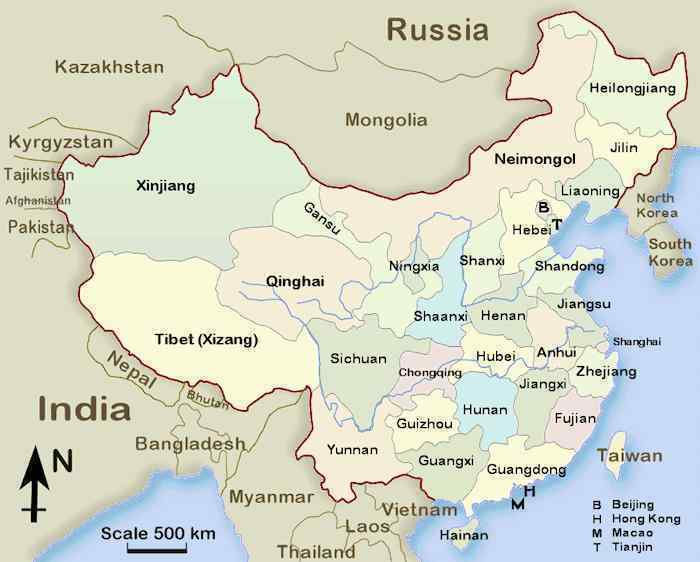 Sichuan Province is today considered to be the "rice bowl of China". Sichuan Province will find its former paddies devastated by the great earthquakes and a pounding deluge that will create landslides. This will be a devastation to Chinese survivors, to whom today rice is a staple. To the extent that rice paddies can be rebuilt in what is now the northern regions of these provinces, and to the extent that a variety of rice is available that can grow in a short growing season and suffers the cold well, rice growing might continue at the farthest reaches from the new S Pole over India. Sichuan Province is subject to frequent monstrous sinkholes lately. We mentioned in our recent description of the causes of sinkholes, there will be points of pressure as well as voids produced. Sinkholes form over the voids, but what of the points of pressure? If water is trapped between rock layers in those points of pressure, then of course it wants to seek release and will move in whatever direction allows the pressure to ease.